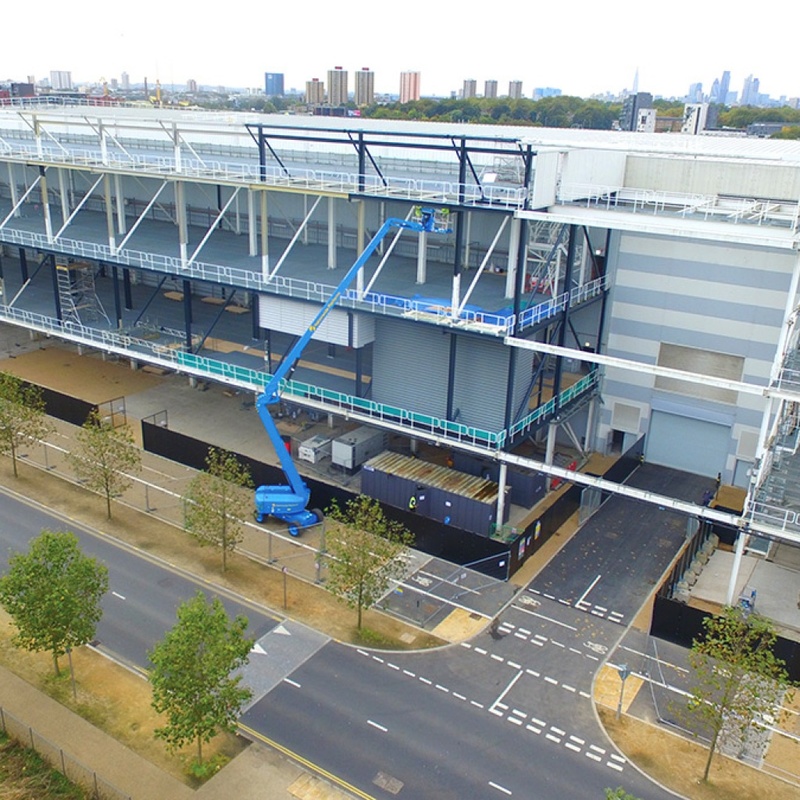 A unique engineering project featuring the supply and installation of our continuous line acoustic louvre system at Infinity Here East Data Centre in East London. A beautiful solution to the complex and conflicting challenges of budget, visual aesthetics, acoustic performance and the future flexibility of the building when installing new plant and machinery. Demonstrating leading-edge design and precision manufacture of a modular acoustic louvre system, with easy on-site assembly, following our bespoke installation service by our experienced Project Managers. View film clip. 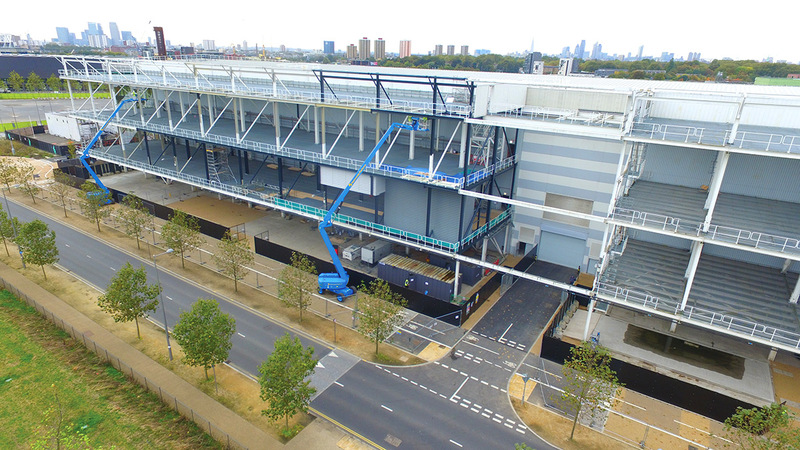 Largest ever UK contract for supply and installation of acoustic louvres at £2.67m. Completed successfully on time and within budget. Utilised our unique and visually stunning continuous line, modular acoustic louvre system. 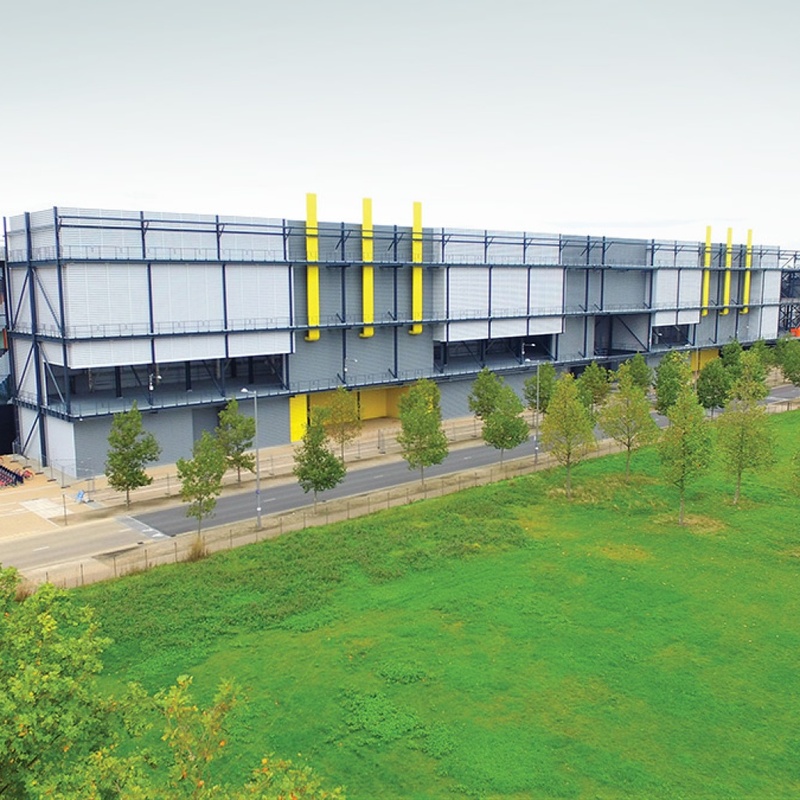 3,600m² of acoustic louvres and 600m² of acoustic panelling manufactured and delivered in more than 50 artic lorries. Performance data backed by comprehensive testing to the relevant ISO standards. All supported using our integrated steelwork systems that were added to the existing steelwork building structure. 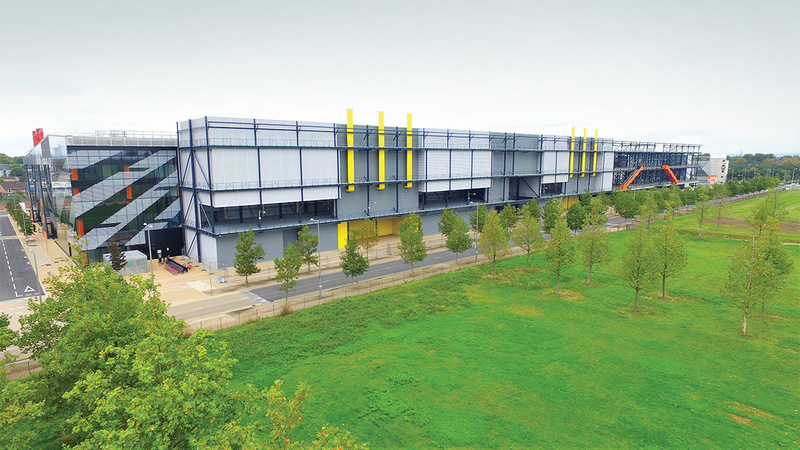 The Infinity Here East Data Centre in East London, was originally the media centre for the 2012 Olympic Games. Our client, Infinity, has a lease on the building and is searching for a tenant from world leaders in software or cloud computing. 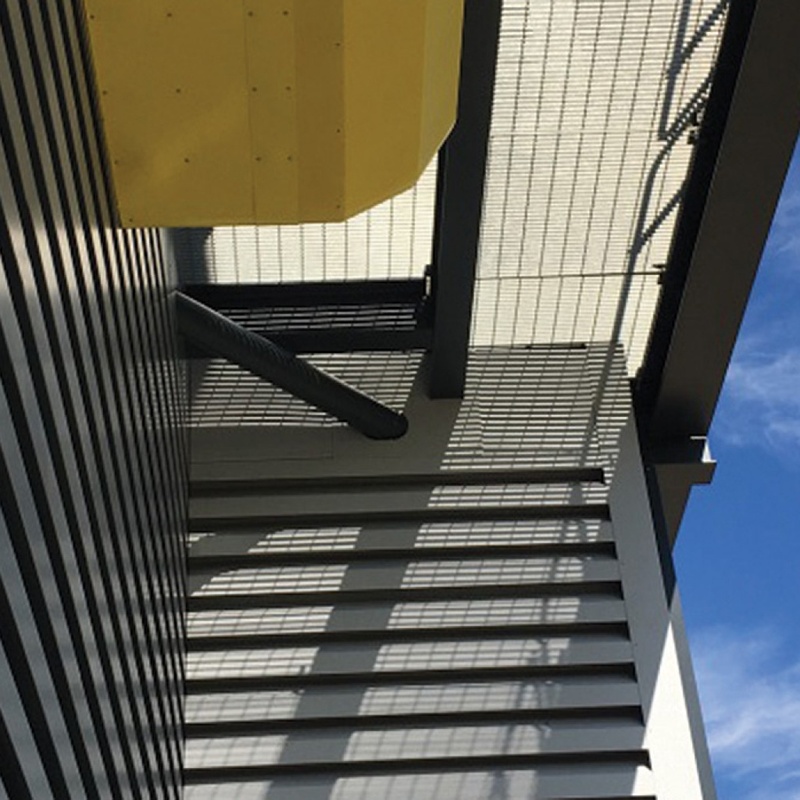 We were initially asked to provide a cost for constructing a 4,200m² facade of acoustic louvres and acoustic panelling. To prevent noise from the building’s plant and machinery from disturbing local residents. Our proposal was for a beautifully designed and highly engineered continuous line, modular acoustic louvre system of cladding supported by our own integrated steelwork structure. Allowing airflow to the plant and machinery, hiding it at the same time and substantially reducing noise levels locally were all key elements of the design. Our highly flexible and modular acoustic louvre system allows panels to be removed and re-installed efficiently. Making it easy to add or change plant depending on any tenants’ specific requirements, in the future. 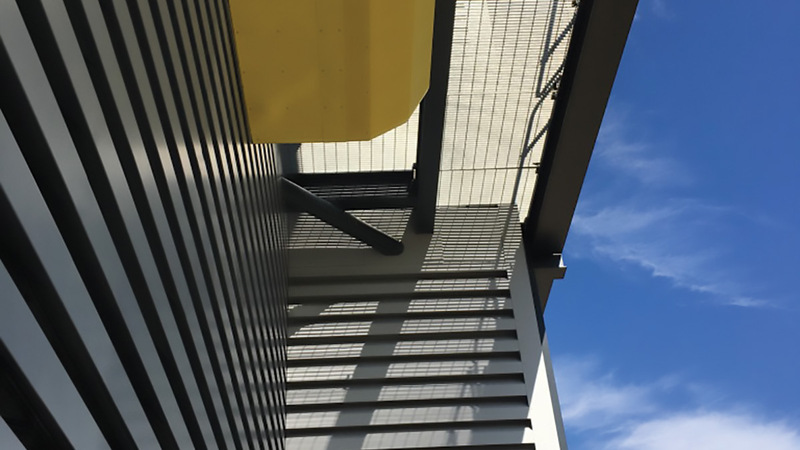 The acoustic louvres were combined with our acoustic panelling system on the ground floor, and additional work included extensive modifications to the existing steelwork building structure to accommodate our products and improve access. Our client did not hesitate when appointing us for this project. As no other company in the UK were able to design and develop this complete system within the timescale. Or to the required budget and include performance data backed by comprehensive testing to the relevant ISO standards. // Our decision to contract directly with Caice was based on their significant effort and response early in the design development stage of the project. We were very impressed with the initial approach and the continued on-going advice and support throughout the project, providing significant input at key stages.